With over 15 years of professional experience, Christian Cashmir, is an award-winning cinematographer, director, and editor. Christian has crafted his production skills, shooting for fortune 500 companies, the Associated Press, the NFL, the PGA, and major networks including ABC, Discovery, Animal Planet, TLC, and WE tv. His independent films have screened at festivals from New York City to Los Angeles. Christian’s most recent web series, The Skyship Chronicles: Part 1 has won awards at 5 different festivals, including Best Visual Effects, Best Cinematography, and Best Web Series in 2015. 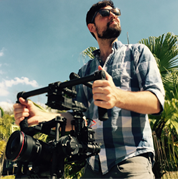 Christian founded Litewave Media in 2006, and with fierce vision, he has grown the company into one of Tampa Bay’s leading production companies. 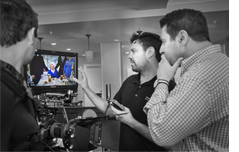 His video production company in Tampa produces a variety of out-of-town productions to its state-of-the-art video studio and production facilities. Christian worked in the camera department on the major motion picture, The Infiltrator, which filmed in Tampa in 2015, and most recently, in 2016 Litewave Media teamed up with Clearwater Marine Aquarium on production of the inspiring new web series, Rescue Clearwater: The real-life inspiration behind The Dolphin Tale movies. Christian is also filming for a new Netflix series coming out later this year as well as providing cinematography for a new Discovery Channel show that is currently in post production. Christian and Litewave Studios are currently in production on The Skyship Chronicles: Part 2, and also in post production for the upcoming episodes of Rescue Clearwater.